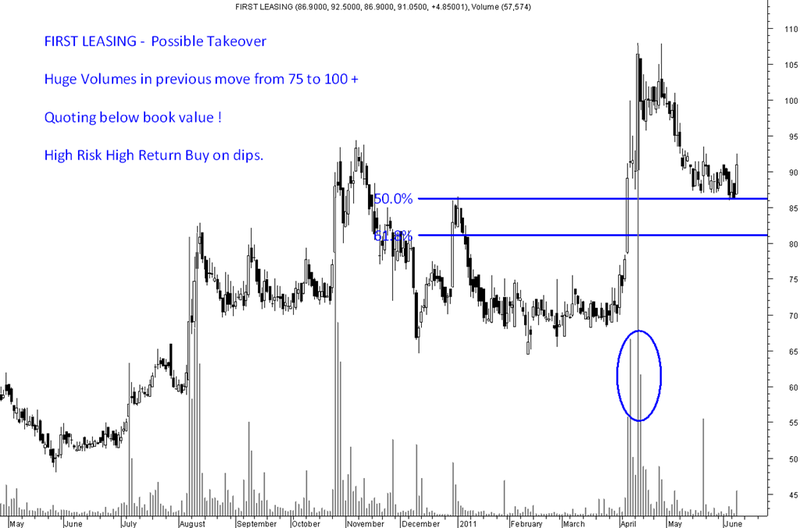 The stock made a huge move from 75 to 100 with high volumes and delivery volumes. After that the stock had been consolidating around the 50% retracement. 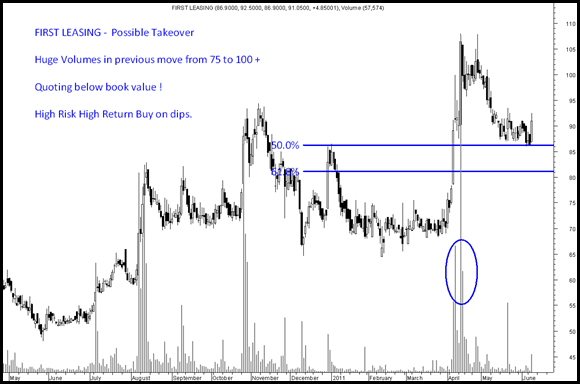 Yesterday was a first pullback volume tick which has been confirmed by todays strong move. The book value of the company is 137 with a consistent dividend record and a conservative management. Market cap of 226 crores. In that case if the company is to be sold it should be at a premium to book. So high risk traders/investors can have a look at the stock slowly on dips with 3 mths view. The stock is a pure value bet but the stock is totally a Muttiah group co and with concerns. 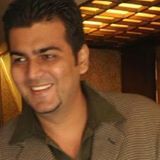 http://dealcurry.com/20100429-Sicagen-s-SDB-Cisco-Stake-Sale-Deal-Falls-Through.htm This values one of its holdings at 100-150 crores. 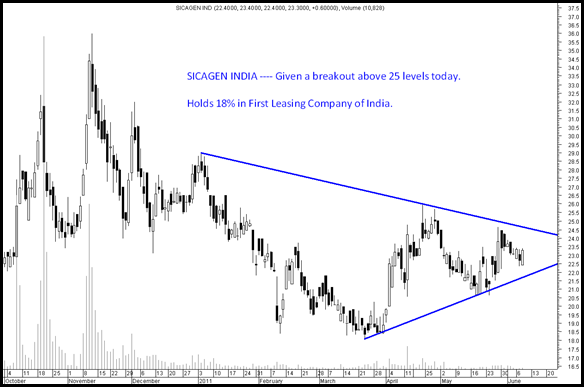 First Leasing Company of India stake is worth around 50 crores. There is a lot of value but will it be ever unlocked will lead to major gains. But a bet worth taking for high risk investors. One of the reasons to mention the above two stocks is both are up 5-8% with large volumes indicating some insider buying. Interesting stocks on dips. Disclosure : Have recommended at 20-24 Sicagen and First Leasing Company at 88 levels with a long term view. Even some speculative additions at current levels advised.